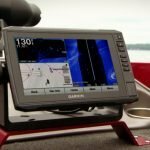 When Garmin released the original STRIKER series a year ago, there was some skepticism surrounding them. These were, and are still, stripped down versions of the ECHOMAP Plus series. 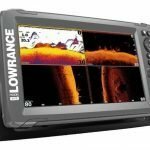 Would anglers want a fish finder with advanced CHIRP sonar capabilities, but no maps or data storage? Turns out, yes, STRIKER proved to be a good value proposition to anglers, and was a popular series. This year Garmin has made some minor upgrades to the series and added a slick looking 9.0″ SideVü model. So we set out to see if the new STRIKER Plus series is as good a deal as the original. 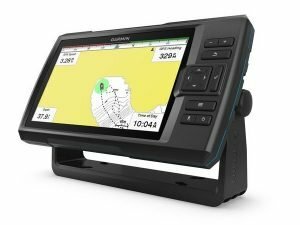 New 9″ SideVü Model: Anglers are always wanting bigger displays, so with the success of the prior releases, it’s no surprise Garmin would add a 9″ model. In the case of imaging sonar, bigger is most certainly better. Wi-Fi Connectivity: Everyone knows how to use Wi-Fi on their smartphones, and the trend is towards adding wireless connectivity into fish finders. It makes syncing with apps and downloading software updates extremely simple. Just use the ActiveCaptain account and you’ll get updates pushed to your control head. 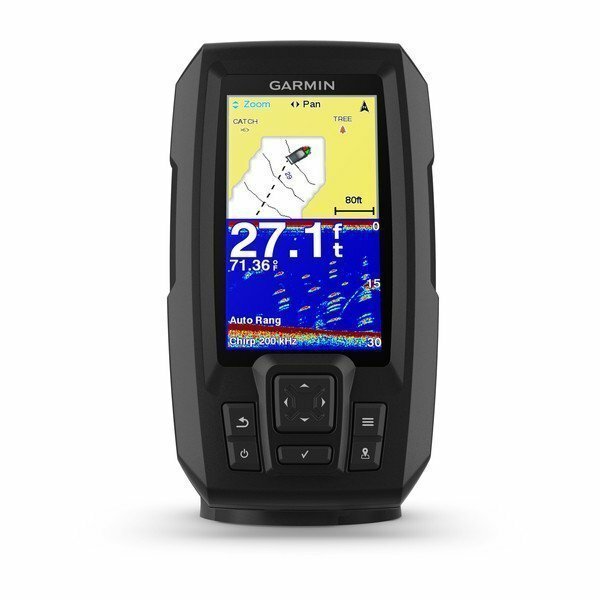 Quickdraw Contours: Garmin’s version of live sonar mapping continues to expand and improve. You can now store up to 2 million acres of 1-foot contour data on the STRIKER units. 2 million acres is a lot, more than anyone can map in a year no doubt. ActiveCaptain App: Garmin is heavily promoting this new app as a way to get more out of your electronics. You sign up for an account, download the app to a smartphone, and pair the app to the control head. After that, the ActiveCaptain community opens up to you to share and download user contour data. 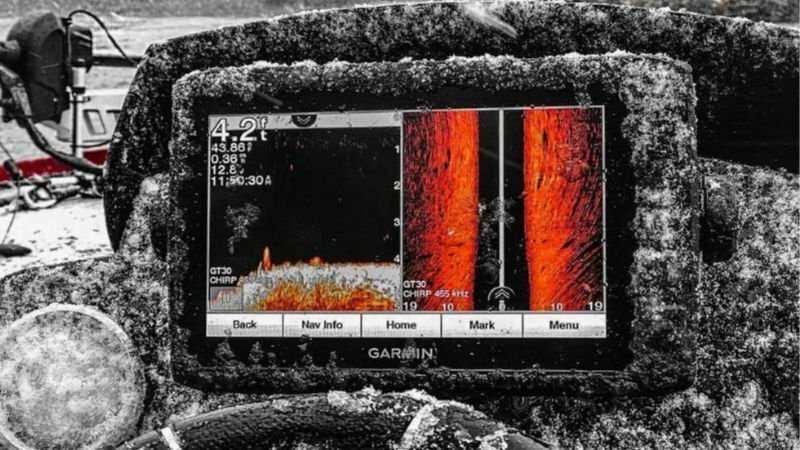 The STRIKER is a basic fishfinder series, so don’t expect too much in the way of extras. 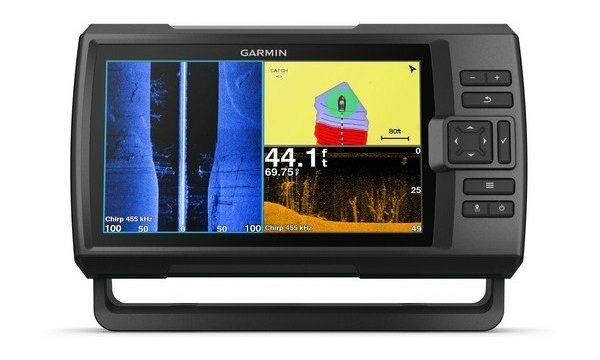 You’ll get the fish finder, transducer, cables, some hardware, and that’s about it. The STRIKER Plus 9sv and 7sv are the best units in this series. Both have bright, easy viewing displays, with 800×480 resolution. With features like CHIRP sonar, SideVü, ClearVü they truly are feature rich and price conscious locators. The mounting brackets now feature a quick disconnect, where the cables are fixed in place on the bracket and the head unit can be removed in seconds. I really like that feature for travelling and storage, not having to mess with screws and locks. These two units have identical sonar capabilities to their big brother ECHOMAP Plus 93sv and 73sv. They pack out with the same CV52HW-TM transducer with both transom and trolling motor mounting hardware. 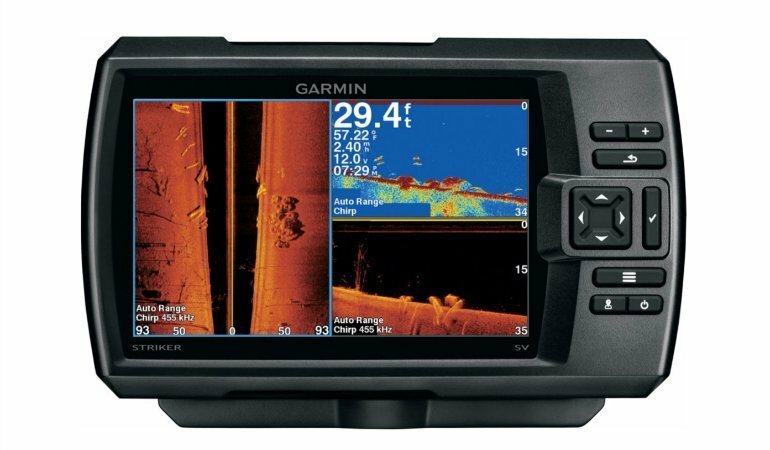 Note: To get high speed 2D depth readings, you’ll need to buy a GT8HW-IH in hull transducer and Y-Cable. The one glaring omission from the STRIKER Plus is still the lack of on-board maps. There is no MicroSD for map chips, and there is nothing pre-loaded onto the unit. You are limited to making your own contour maps with Quickdraw Contours. All things considered, that is alot better than nothing. And besides, if you really need the maps, just step up to the ECHOMAP Plus series. STRIKER is a value unit after all. Stepping down to the 7cv and 5cv, you lose SideVü, and get a weaker transducer. But, the big thing on these two is the price. The 7cv retails for $399.99 MSRP and the 5cv for $299.99. Crazy. 5 years ago that kind of price and screen size was unthinkable. 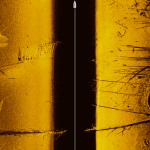 2D sonar is great for seeing the traditional fish arches we are all used to seeing, but with ClearVü imaging, structure comes alive. You can see what object actually look like rather than ambiguous blobs. With a lot of seat time, both fish and bait become become much easier to spot. The 7cv and 5cv bundles come with the CV20-TM transducer, which is a traditional 2D plus CHIRP ClearVü transducer. It’s disappointing that a CHIRP capable unit like the STRIKER Plus doesn’t come with a fully CHIRP capable transducer. You will have to upgrade to the CV22HW-TM or CV23M-TM transducer to enable the 2D CHIRP. HW means “High Wide” and M means “Middle”. The CV23M-TM also has a lower CHIRP ClearVü frequency range (260/455 kHz) for improved deep water imaging. If you like to run your fish finder on the bow, any of those transducers already have a trolling motor adapter bracket in the box for you. The mapping situation is the same on the 5cv and 7cv. No maps on board, no MicroSd slot, it’s just you, your motor, and Quickdraw in charge of making lake maps. Now we have the smaller vertically oriented 4 inch models. 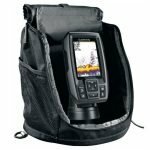 Both units are great for use in kayak fishing, as well as good portable options. 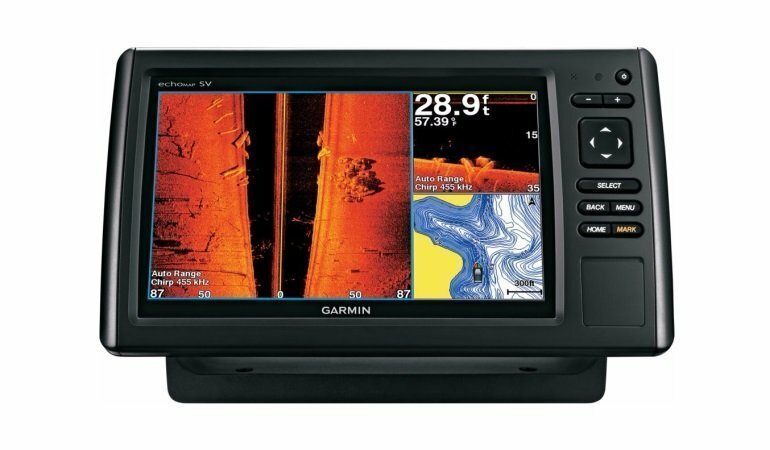 Not much has changed on this years versions, and they are still good cheap fish finder choices. The 4cv has CHIRP ClearVü and 77/200 kHz traditional sonar, whereas the 4 only has 2D sonar. the difference in price is about $40 (MSRP), so it seems a no brainer to get the 4cv. If you are strict on your budget and can’t go over $200, these might be a good deal for you. Should you Buy a Garmin STRIKER Plus? 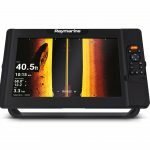 The STRIKER Plus is a great way to get a CHRIP Imaging Sonar fish finder at an affordable price. 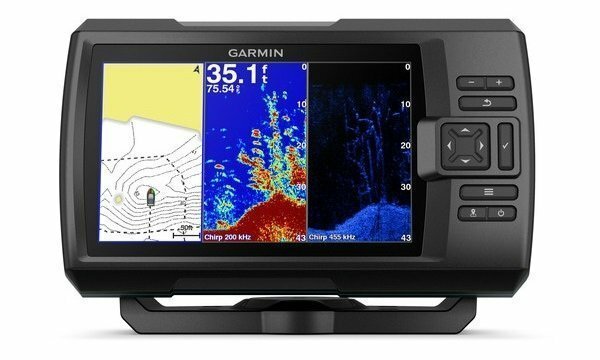 They would make a great additional fish finder for anglers already with a unit with maps. 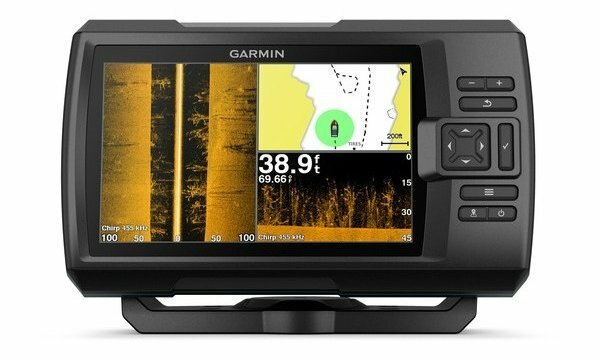 Wi-Fi connectivity in a low cost fish finder is a great development. Wi-Fi is widespread and accepted way of connecting to home and wireless networks, making updates and downloads easier than ever before. 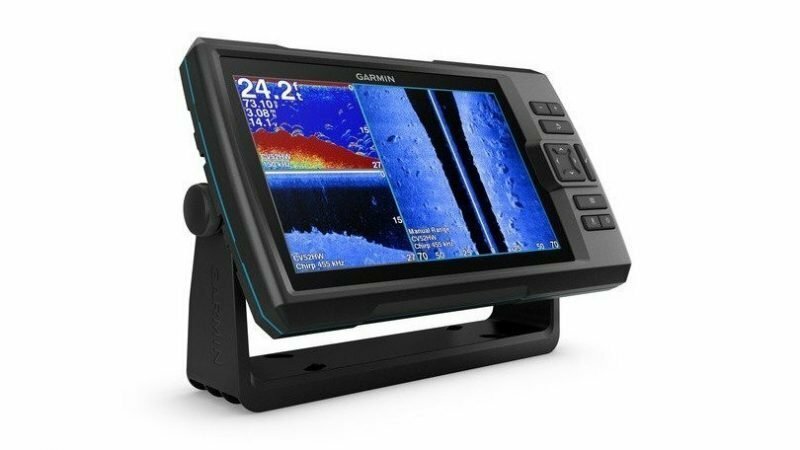 The 9sv is one of the lowest priced 9 inch fish finders on the market. I wouldn’t hesitate to make that my imaging unit if I already had another unit with mapping. It’s essentially a cheap way of upgrading your sonar. Live mapping has become very popular, and Quickdraw Contours is a great tool for anglers of all experience and skill levels. With the addition of the ActiveCaptain app, you have the ability to share, upload, and download Quickdraw map data to a STRIKER Plus with just a few clicks on a smartphone. The lack of pre-loaded maps is the biggest concern about the STRIKER Plus. Certainly you’ll save money by not having them, but it’s hard to imagine fishing without them. At least you have Quickdraw to build your own maps as you wish, and of course download other user maps via ActiveCaptain. No memory card slots for waypoint and data storage. The STRIKER Plus has imaging sonar, so it’s shame their doesn’t appear to be any way to save screenshots to review and share later. 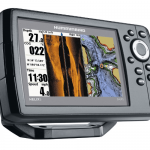 Bottom Line – The STRIKER Plus is recommended as a secondary add on fish finder. 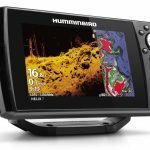 Unless you fish smaller waters where you can make a map yourself, it would be hard to rely on this a primary depth finder. 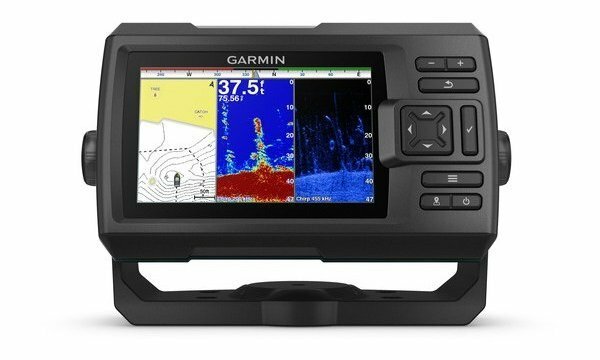 In fact you could buy a STRIKER Plus 9sv for primary SideVü and sonar display, and an ECHOMAP Plus 93sv without a transducer for maps. You’d have whopping 18″ of screen, on a side by side setup for less than the cost of other brands 10 inch models.